Tux and his two siblings, Tiny and Tash, started off on the streets of Dubai. The rescuers there planned on releasing them back to the streets after they were neutered, but once they saw how sweet, friendly and social they are, they decided otherwise. 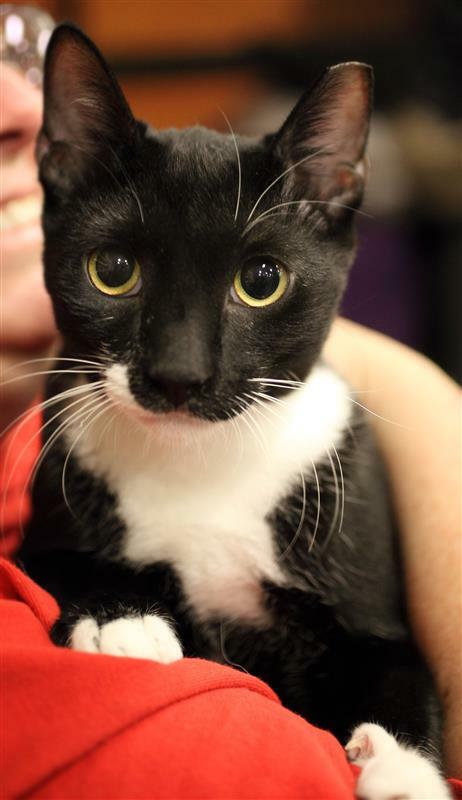 These cuties are cuddly, affectionate, and so fun to play with.Tux is quite the talker. If you are looking for an active cat who enjoys conversation, this cool-looking cat might be the one for you!